Precious metals prices fell sharply on renewed concerns the Federal Reserve will be raising interest rates sometime this fall. Friday’s jobs report painted a picture of healthy growth, fostering a new round of speculation that Janet Yellen and the FOMC will withdraw stimulus. Investors have seen this a thousand times before. The reaction in gold and silver markets was almost as predictable as the sunrise. When markets continually respond to highly managed data from the Bureau of Labor Statistics – or some other bureaucracy – in a machine-like way, you have to assume it’s because most of the trading is actually done by high frequency trading machines (HFTs). The algorithms calculated the Fed probably would not hike any time soon when employment missed expectations by a mile in early June. Precious metals rallied. Gold and silver prices stumbled the following month when the same report showed much better than expected data. It was rally time again in late July when the GDP data turned out to be a big disappointment. Now there is “good news” on jobs and the machines responded by selling. It’s been going on for years. Actual humans grow tired of the constant whipsaw around Fed policy expectations and some ask more fundamental questions. For instance, do we have free markets when what matters most is government data and how the central planners at the Federal Reserve might respond to it? It is this kind of question that separates bullion investors from high frequency trading algorithms which dominate trading in the futures markets. 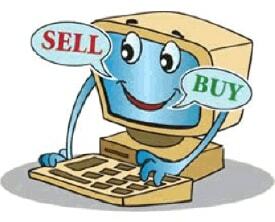 Machines can scan the headlines and respond in milliseconds by placing a buy or sell order on the COMEX. They aren’t concerned about how much physical metal there is backing a futures contract. And they can’t worry about their children and order some silver bars to set aside for them. Bullion investors ask more philosophical questions and, unlike machines, they can be skeptical of the headlines. People buy physical metal because they look past the headlines and ask more meaningful questions. They wonder what the consequences for all of this reliance on fudged data will be and why a tiny group of bankers with a dubious (and corrupt) track record is governing their money. Unfortunately, in the short run, the superficial Fed rate hike “computer query” the HFTs are constantly running has a big impact on metal prices. The questions bullion investors are asking won’t always govern price discovery in metals until, suddenly, they are the only ones that matter.